I started by taking the pump off the gun. The plastic rod pulling the pump piece snapped on me, and the supporter one at the bottom was doing great. 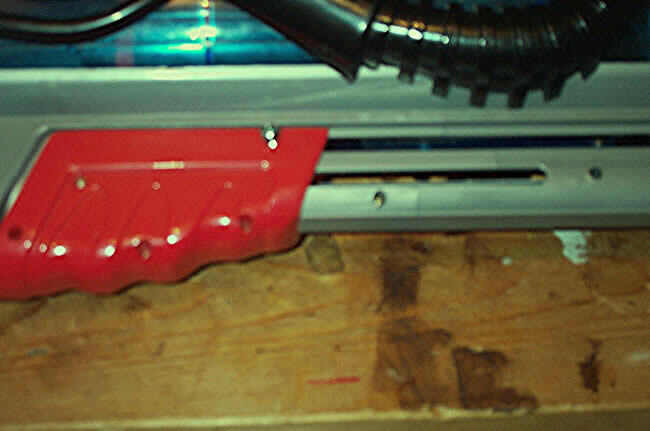 I then took one half of the pump plastic, and drilled a new hole over top the screw hole. I then took both pieces and put them together. I then put the drill bit through the first hole down straight, and drilled a second hole. I then inserted the Large Screw thing into the pump and through the hole in the white rod, and rescrewed the pump back on. I then tightened it with a nut and wrench. I tested it out, and it was hard to pull back and forth on the pump. So I decided the issue was that the screw was too large. 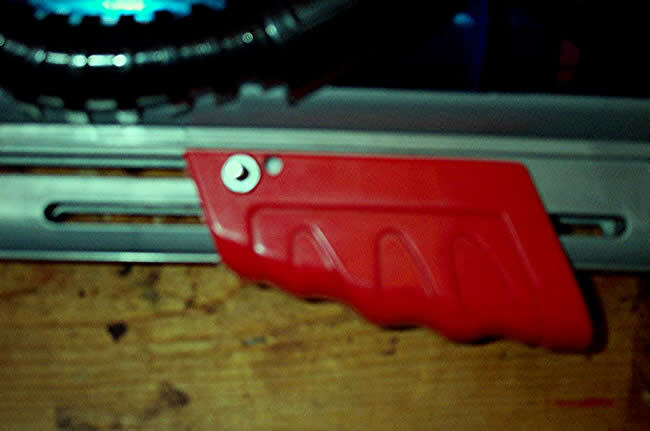 I got a thinner one along with a thinner hex nut, and basically redid the above steps. I found that with a smaller than usual Screw, my pump time was decreased by 3-4 pumps, and I got the same pressure. It was also glided very easily. 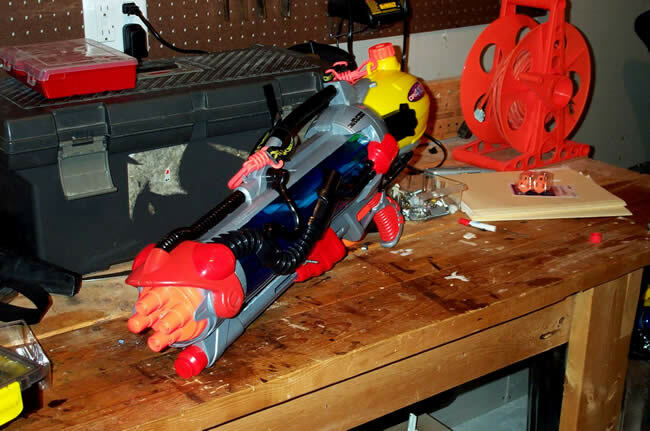 So if you have a soaker in your garage, don’t be afraid to attempt this repair, it will work on other blasters besides the Cps 2000.